The 12th Omaha North Hills Pottery Tour scheduled for Oct. 1-2 will include Emily Reason, studio potter and graduate student in the UNL Ceramics Department, to its total of 19 nationally recognized clay artists from across the region. 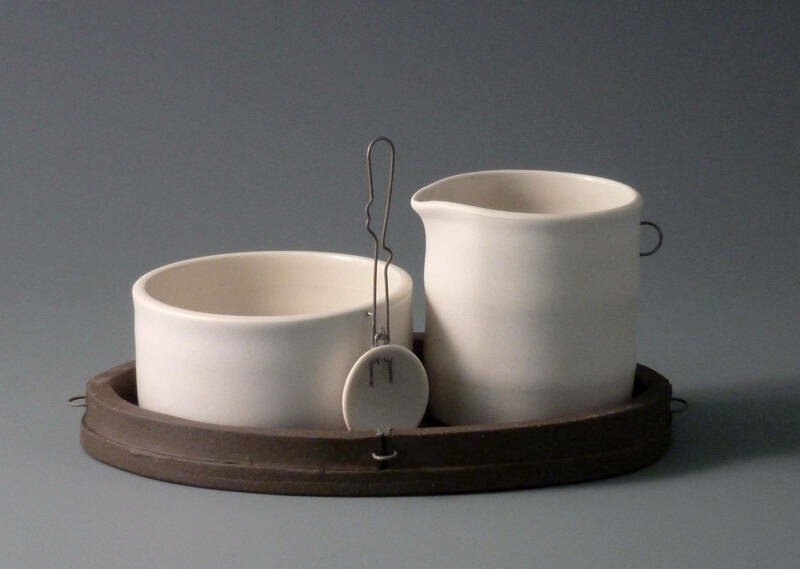 In the midst of Reason’s career as a production potter, writer, and educator in North Carolina, she was drawn to the UNL ceramics department for its reputation as one of the top ten graduate ceramics programs in the country. She speaks highly of the inspiration she is gleaning from UNL’s distinguished ceramics faculty, Pete Pinnell, Eddie Dominguez, and Margaret Bols. Reason will join two others already on the tour from the Lincoln area, Amy Smith and Tim Reese from Utica. The tour offers a rich harvest of diverse clay techniques and styles, open clay studios, and a scenic fall road trip full of hospitality and fun. This free, self-guided tour includes four stops at open studios and historic sites along Hwy 75 between Omaha and Herman, NE. They include The Florence Mill, a restored Mormon grain mill, where both Smith and Reese will display their work along with Susan McGilvrey and Tom Quest from Omaha and Tara Dawley from Kansas City. Smith will display her porcelain tea bowls with hand painted figures and Reese plans to show the latest floor vases and vessels produced in his wood-fire kiln in Utica. Reason will join the potters at Big Table Studios where her new stoneware wall tiles, utilitarian pieces and sculpted vessels will mix well with the work of studio hosts Liz Vercruysse and John Martelle, and guest potters Doug Schroder and Amy Nelson from Omaha, plus Zac Spates and Jonathan Wahlburg from Wisconsin. Besides a beautiful panoramic view of the river valley, this stop offers a look inside a wood-fire kiln and tastes of wood-fired pizza. John Dennison will open his clay studio, Dennison Pottery, and offer his own work as well as that of four other potters: David Harris and Naomi Keller from Missouri, Mike Bose from Iowa, and Bill Gossman from Minnesota. This group offers raku-fired lizard pots, teapots on masks, birds on pots and geometrically sculpted vases plus a wide range of everyday ware. Along with live jazz, this stop serves up homemade soups from ceramic tureens and bowls. The tour route can easily be accomplished in less than a day and stretches 30 miles from Big Table Studios in Herman, NE (north of Blair), to The Florence Mill on N. 30th St. in Omaha. Some of the stops are not handicap accessible due to the uniqueness of their settings and construction. For more details go to http://www.onhpt.com.